wagamama has launched the most eagerly anticipated vegan dish ever – the vegatsu. Meaning vegans across the nation will at long last be able to taste the restaurant’s famous dish: the iconic katsu curry. The nourishing vegan dish is being dubbed The Impossible Curry by customers who had a first taste, at the restaurant’s Soho test kitchen, due to the fact that 9/10 customers cannot believe it isn’t meat. 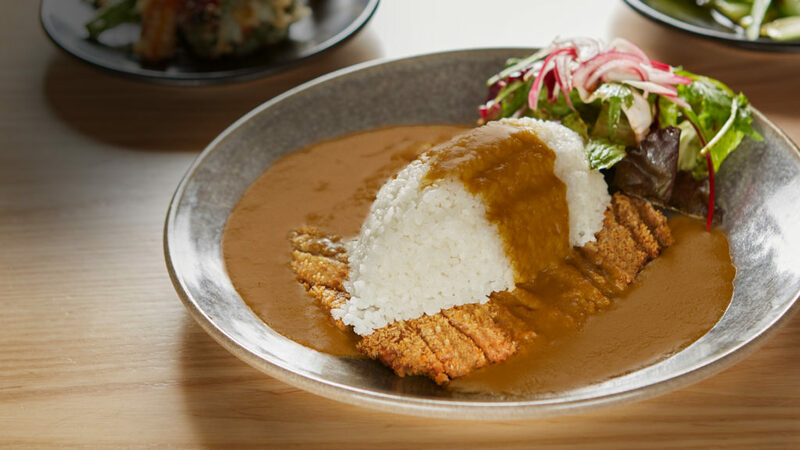 The original katsu curry – introduced by wagamama in 1992 – is one of the UK’s most popular dishes, currently a number three seller on Deliveroo and number one for the Japanese-inspired restaurant brand, selling over 3.5million dishes a year (10,000 daily). V-curious Brits: The seitan version of the iconic chicken katsu curry dish will cater to the 3.5 million Brits who now identify as vegan (over 7% of the UK). Over the last two years the number of vegans in the UK has surged by more than 700%, proving that veganism is more than just a lifestyle fad. The restaurant itself has seen a sharp increase in vegan, vegetarian, ‘v-curious’ and flexitarian customers looking for alternatives to traditional meat classics. The launch of the vegatsu comes following a hugely successful and three-month trial at the brand’s test and innovation kitchen, noodle lab in the heart of Soho. The dish has been the most popular item on the noodle lab menu since it was introduced by wagamama executive chef, Steve Mangleshot who has switched out chicken for the vegan substitute, seitan. wagamama has led the charge in a cultural food shift on the high street by using the wheat-based substitute seitan to make its mark on the veganosphere. The meat-free dish is perfect for vegans and flexitarians craving wagamama’s signature dish and iconic flavour, but also a great introduction for the 16millions v-curious Brits. The perceived health benefits of a vegan diet are thought to be driving the pioneering food trend. Advocates of plant-based eating say vegans typically have lower levels of cholesterol and blood pressure, a lower body mass index, and reduced risk of fatal heart disease. In October 2017 wagamama launched its vegan and vegetarian menu across the UK, which comprised of 28 dishes. This May sees the addition of even more plant-based dishes to the new menu for summer including 3 new dishes Harusame glass noodle salad (tofu), Mushroom + panko aubergine steamed hirata buns and Yasai katsu curry.